When Matt Porter, Grand Poobah of Design Family Reunion, beckoned us—his cult family—to submit photos of ourselves in compromising positions, we didn’t really know what to expect. I still haven’t sent any in for fear of major repercussions. Rebecca Bedrossian, however, bravely submitted some wonderful gems and in turn, gave me plenty to work with. Who knew the girl had such primal, hippy roots? See her photos and story here. 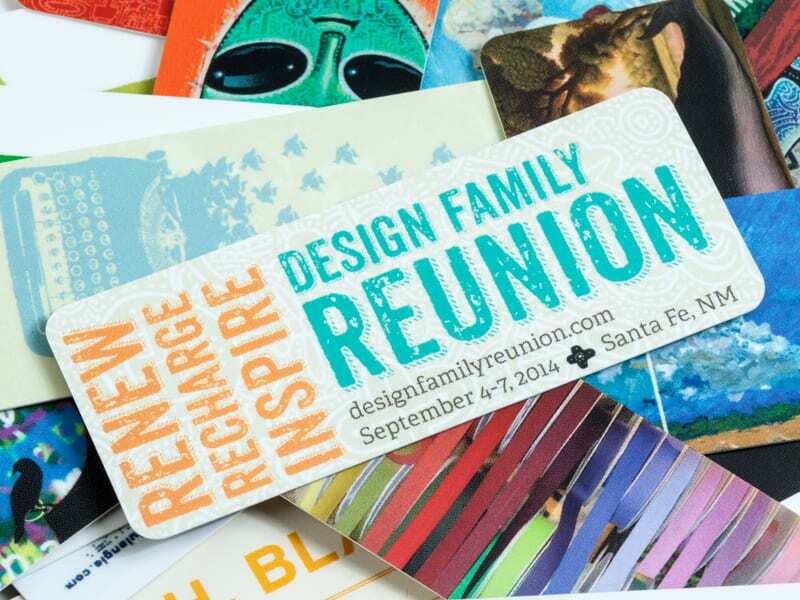 And join us at Design Family Reunion in Santa Fe in September! If you haven’t heard of Mark Kingsley, you should. 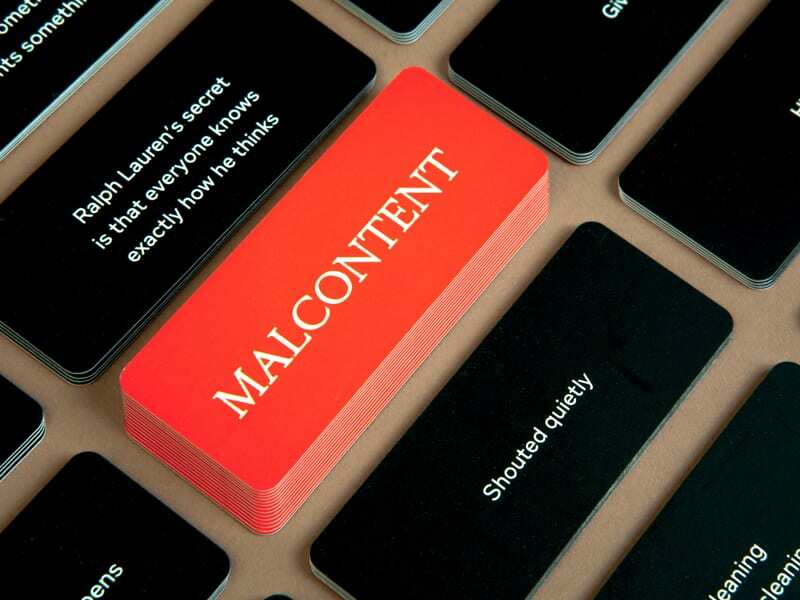 He is a designer, writer, critic, teacher, cultural observer, and head honcho at Malcontent. He also wrote the Malcontent column here on RockPaperInk. I knew Mark’s MOO MiniCards would be contemplative, and he didn’t let me down. Read more about this at rockpaperink.com. Design Family Reunion (DFR) is an intimate gathering of creatives who are looking to unplug, recharge, and make personal connections. It’s not a conference. You won’t sit in a big air-conditioned assembly at a large hotel or conference center among thousands of strangers. This event, conceived by Matthew Porter and Terry Marks, first took place in 2012 in Pacific Grove, Calif., with 70 people in attendance, me included. The workshops allowed us to make stuff like woodblock carvings with artist Francis Pavy, shoot still-life movies under the guidance of Chris Sickels, using his unique characters and sets, and take black and white photos with old Polaroid 66SE cameras led by photographer Woody Welch and designer Sean Carnegie, among others. This September, DFR will take place in Santa Fe, New Mexico, an artists haven. Designer Tricia Siebold created the MOO MiniCards using the work of several artists and designers. She and Terry Marks discuss the cards and reunion, here.